The Seven Wonders of Wales are a traditional list of the most notable landmarks in Wales. Wales makes up part of the United Kingdom and is located on the island of Great Britain. It is home to several famous landmarks, the most famous of which are referred to as the Seven Wonders of Wales. A rhyming poem helps the people of Wales remember the names of these sites. It is believed to have been written by an English tourist, who visited the country sometime between the late 18th and early 19th century. Each of the following wonders are located in North Wales. Snowdon is the highest mountain in Wales, standing at 3,560 feet above sea level. The mountain and the area surrounding it has been protected as Snowdonia National Park and as a national nature reserve to conserve its native plant and animal species. The mountain is generally covered in snow during a large part of the year. Climate change, however, has affected the amount of snowfall in this area. In 2004, for example, the mountain saw 55% less snow than in 1994. Visitors can climb to the top through a number of routes, although the most popular is Llanberis Path. 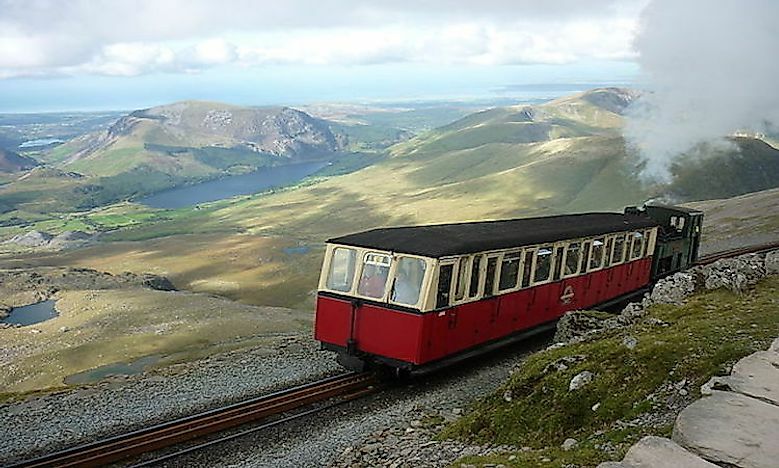 For those who would rather not climb, the Snowdon Mountain Railway is available. This train takes over 130,000 visitors to the summit annually. The Gresford Bells are located at the All Saints’ Church in the town of Gresford. While the church building itself is a beautiful architectural work that dates back to the 13th century, only its bells are included as one of the seven wonders. This is because the bells are renown for their strong ring and perfect tone. Over history, the bells have been rung to signify curfew, a coal mining tragedy, and World War II invasions. Today, visitors can hear them during church service on Sundays and Tuesdays. 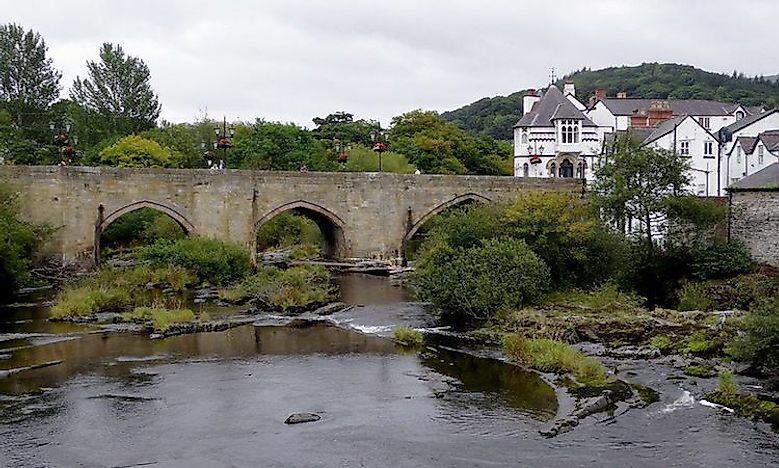 The Llangollen Bridge is located in the town of Llangollen. It is the first stone bridge to cross the Dee river, built in the 16th century. The new bridge replaced an older bridge that had been built in the mid-14th century. This bridge is notable for its supporting arches, those under the bridge. An additional arch was added in the 1860’s to extend the bridge over the new railway. It is protected as a Scheduled Monument. 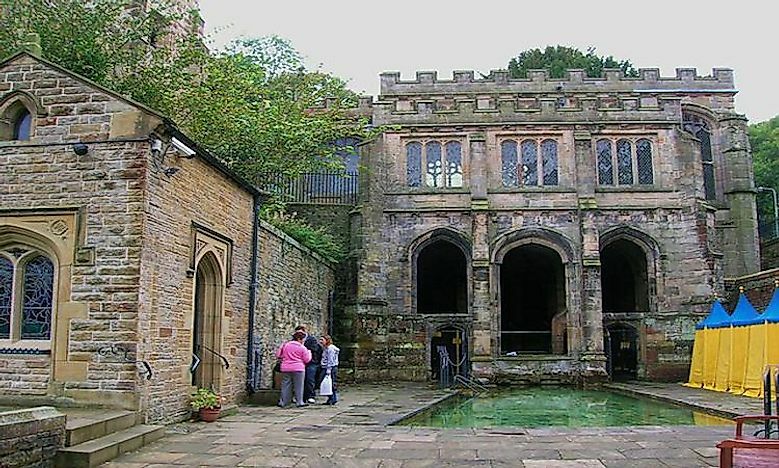 St. Winefride’s Well is located in the town of Holywell. The well’s story begins in 660 AD, when Caradoc, a member of local royalty, tried to have his way with Winefride, the daughter of a local chieftain. She refused his advances. Angered, Caradoc beheaded Winefride. When her head hit the ground, spring water began to flow. It is said that her uncle Beuno, now Saint Beuno, reattached her head and brought her back to life. Winefride, now Saint Winefride, went on to become a nun. A well was established at the site of the spring and its water is believed to cause miracles. 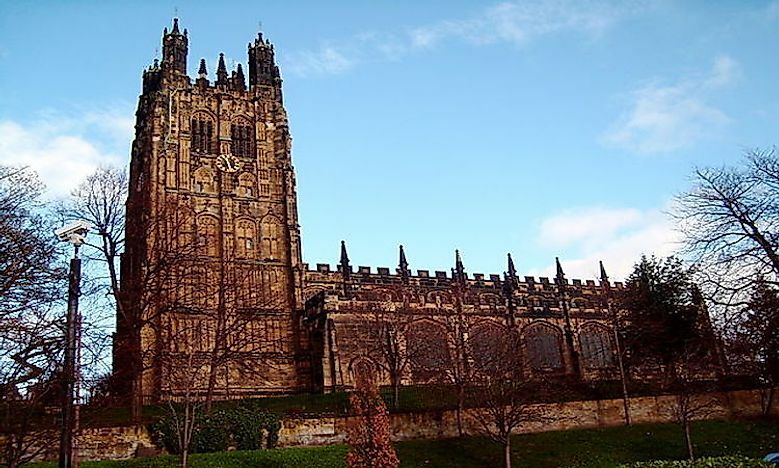 It has been visited by believers since the 7th century, making it the oldest continuously visited pilgrimage site in Great Britain. The Overton Yew Trees are located at the St. Mary the Virgin Church in the town Overton-on-Dee. Some of the trees are between 1,500 and 2,000 years old, making them older than the church, which was first built during the Norman-era. 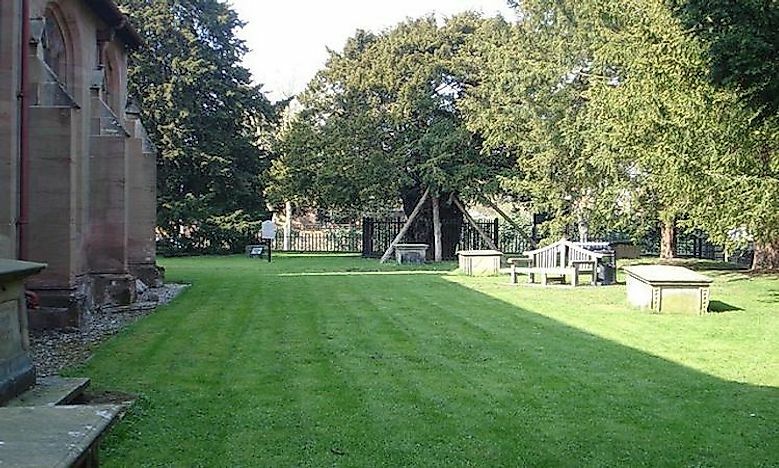 In 1992, Queen Elizabeth II planted a yew tree here during a local celebration. 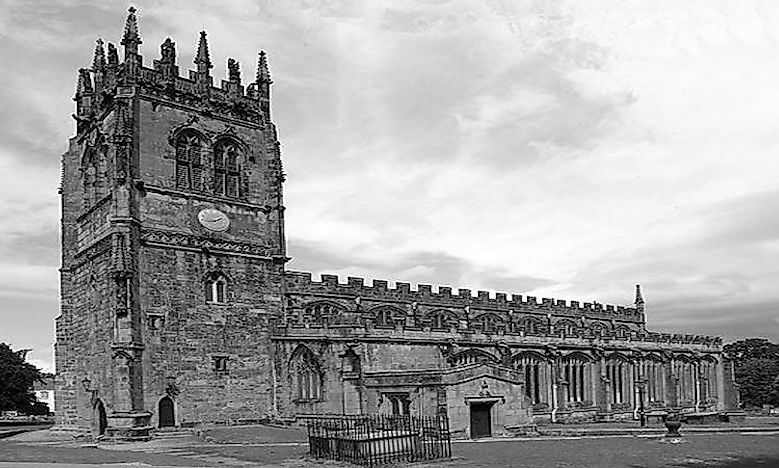 St. Giles’ Church is located in the town of Wrexham and is the largest, medieval parish church in Wales. Its tower is actually considered one of the Seven Wonders, rather than the entire church. It is the tallest structure in the town and can be seen from all over. 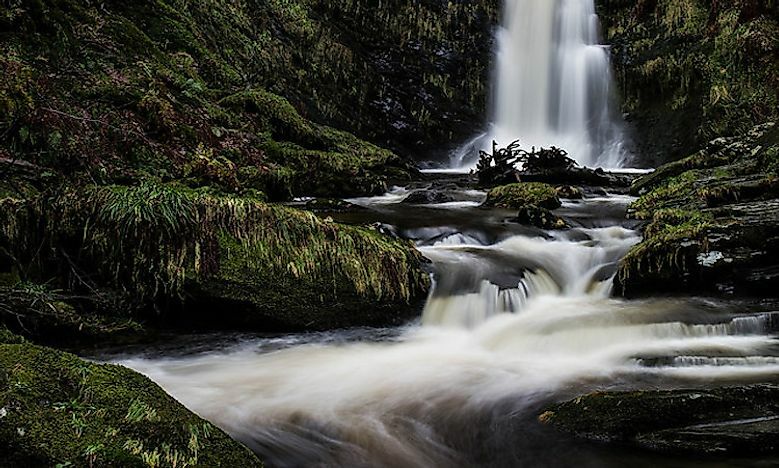 The Pistyll Rhaeadr Waterfall is the first wonder mentioned in the famous poem. It cascades over 240 feet over a cliff, falling in 3 distinct stages. The Afon Rhaeadr is river that flows out from the falls. Visitors can stay at the nearby bed and breakfast or enjoy lunch at the cafe. For those looking for a bit of exercise, a walking path leads to the top of the waterfall. Which Are The Seven Wonders Of Wales?